"I didn't think I'd be alive today. Now here I am with Optune®, still enjoying life." In a large clinical study, people who added Optune to chemotherapy* had a greater opportunity to live longer than those who used chemotherapy alone. In a 5-year follow-up, people on Optune plus chemotherapy lived longer across all groups analyzed regardless of well-being, age, gender, and how much of the tumor was removed. People in the study were also able to maintain their mental, emotional, and physical well-being longer than those on chemotherapy alone. 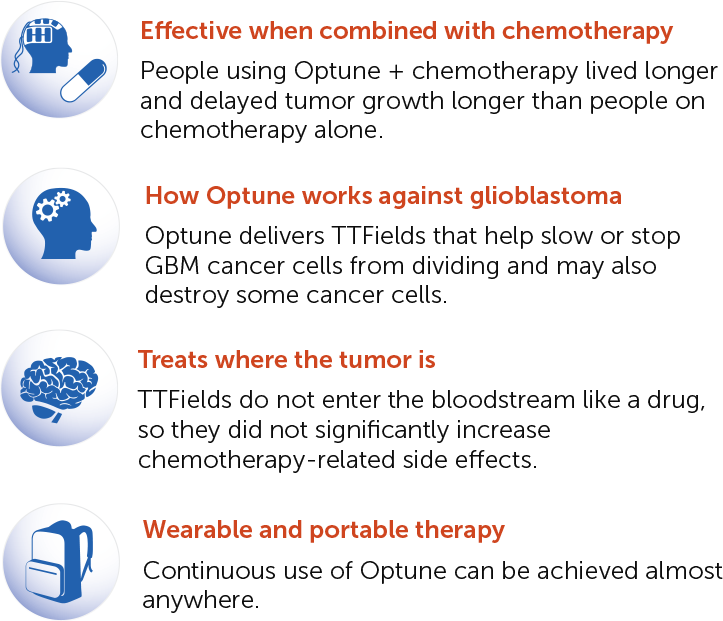 People on Optune plus chemotherapy experienced mental well-being 22% longer, emotional well-being 36% longer, and physical well-being 38% longer than those on chemotherapy alone. 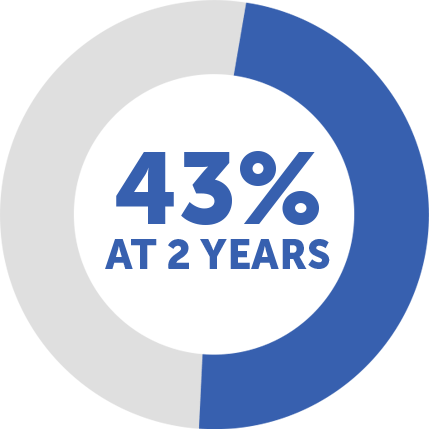 Nearly half of people on Optune plus chemotherapy were alive at 2 years compared with 31% of people on chemotherapy alone. 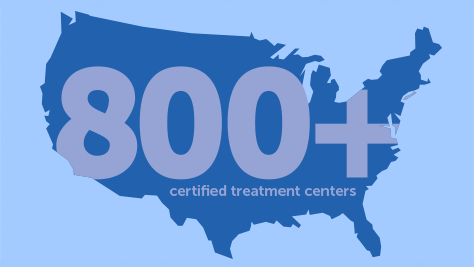 In a large clinical study, people on Optune + chemotherapy lived longer than people on chemotherapy alone. In the same study, Optune + chemotherapy delayed tumor growth longer than chemotherapy alone. Optune [Instructions for Use]. Novocure 2018. Stupp R, Taillibert S, Kanner A, et al. Effect of tumor-treating fields plus maintenance temozolomide vs maintenance temozolomide alone on survival in patients with glioblastoma: a randomized clinical trial. JAMA Oncology. 2017;318(23):2306-2316. Taphoorn M, Dirven L, Kanner A, et al. Influence of treatment with tumor-treating fields on health-related quality of life of patients with newly diagnosed glioblastoma: a secondary analysis of a randomized clinical trial. JAMA Oncology. doi:10.1001/jamaoncol.2017.5082. Published online February 1, 2018. National Cancer Institute. NCI Dictionary of Cancer Terms. https://www.cancer.gov/publications/dictionaries/cancer-terms. Accessed May 30, 2018.